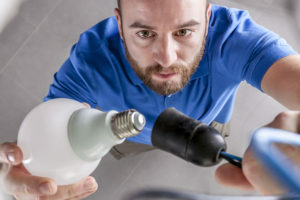 If you are planning a room addition or remodeling project to improve your home’s curb appeal, you will likely need an experienced electrician to handle any wiring or installation requirements. If you live in the Lincoln, Massachusetts, area, then VMA Electric is the only electrical contractor you should consider. We’ve provided electrical repair and installation services in the area since 2008, and we back our work with a one-year guarantee to provide our customers with additional peace of mind Additionally, we are proud to have earned an A+ rating with the Better Business Bureau, a distinction that means a lot to our team, as customer service has been our No. 1 priority since our founding. No matter what type of electrical work you need, a licensed electrician from VMA Electric can complete the job right the first time. Our electricians average more than a decade of experience, and we take pride in the fact that we stay informed about the latest technological advancements and best practices in our field, ensuring our customers receive the highest level of service possible. Some of the services we offer include wiring and rewiring, electrical panel upgrades, custom lighting installation, home automation system installation, repairs and troubleshooting, and more. And, we have an electrician standing by 24 hours a day, seven days a week, to handle electrical emergencies that occur outside of normal business hours. If you would like additional information about the range of services we offer to homeowners throughout the Lincoln, MA, area, contact VMA Electric today.